Please see the video at the bottom of the page. 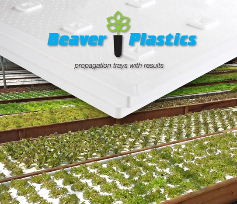 Beaver Plastic Lettuce Rafts (Beaver Boards) are floating raft systems made with recycled food grade resins and are used to cultivate fabulous leafy vegetables and herbs in a deep water culture.The entire board is built on certified food grade resins, not just the skin. 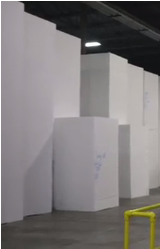 The seal is a heating process we do to the polystyrene that is why it is so smooth. 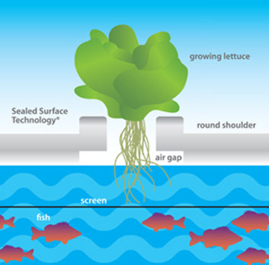 The Lettuce Raft is ideally suited for deep water culture, floating your plants to success. 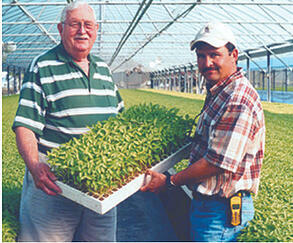 Sealed Surface Technology® Lettuce Raft resists water penetration, ensures durability and longevity, and gives growers a cost-effective system. Check out our customer's video and see Beaver Boards in action!! H o t O f f T h e P r e s s !!! We have all the sizes ready to ship. Give us a call to learn more, or place an order. 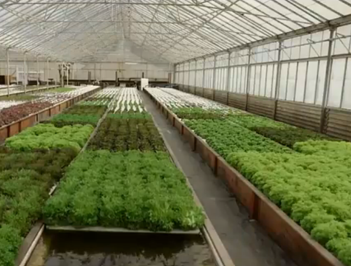 Now THIS IS A LETTUCE RAFT! Food Grade Resins! Ken Aguilar From Global Plastic Sheeting. Today we are talking about Beaver Plastics Lettuce raft boards for the aquaponic and hydroponic world. A lot of you know this brand. What makes it unique is we have them preformed. You can have them in 18, 28, 36 and 72 hole configuration. It looks like regular styrofoam. The difference is it is very very hard, very compressed and it has sealed technology- so you aren't going to get water-logged. The normal run of the mill styrofoam that you guys buy and drill the holes in aren't very strong. Our boards are a little bit different. They have some strength to it, It has a ton of strength. Now with the Beaver line we also match our square configuration with a propagation tray called a 242. That plug size is an exact fit for 18, 28 and 36 which makes it a nice transition for young starts- and that's on the Beaver line. We start off with food grade resins to produce this- really good high quality product and you don't have to keep drilling. The other thing that people have been asking us is, do you do smaller rolls of the Solawrap film? YES! Just let us know what you need. We do cut rolls for you- they cost a little bit more due to the labor. If it makes sense we are happy to do it for you. Don't think you have to buy large master rolls. We are here to help you develop your business. Everybody starts small, and hopefully grows and grows. I am Ken from Global Plastic Sheeting. 760 597 9298 www,globalplasticsheeting.com. Hello Global Plastics...Tell me more about your Lettuce Rafts! 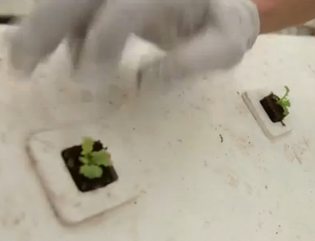 Do you have a quick question or comment about the lettuce rafts? Ask away below.